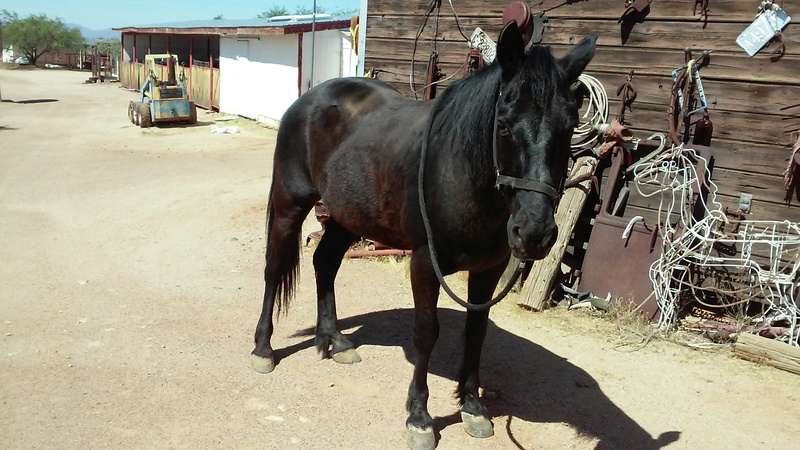 22 year old black gelding, Kentucky Mountain Saddle Horse, 15 hands and 1”, 1130 pounds with a medium build. WHAT I LIKE ABOUT SMOKE. He has been steadily responsive, dependable and quietly observant. His ride is so smooth that you just sit back and smile. We purchased Smoke as a 7 year old in Menifee County, Kentucky from a family friend. He adjusted quickly into the string and became a favorite of our non-horse owner riding club members. 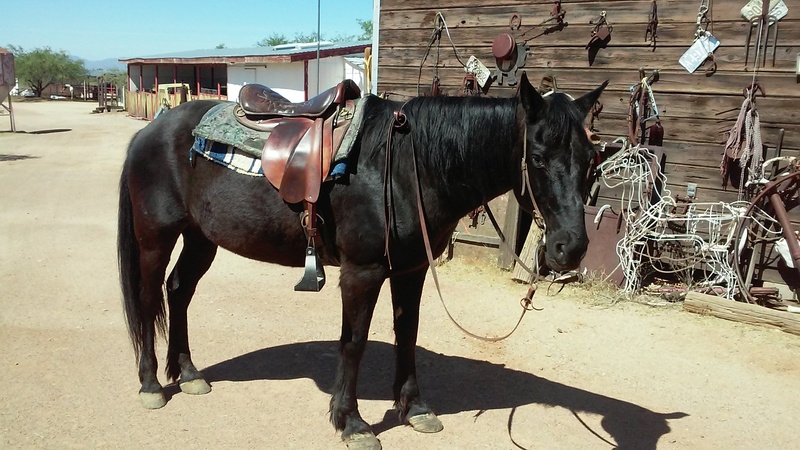 Smoke was part of the traveling team and was on every off property ride we did with the riding club. Mount Lemon, Mount Graham, Santa Rita Mountains, Gila Wilderness, Mule Shoe Ranch and Canyon De Chelly just to name a few of the places he has been ridden. The Kentucky Mountain Horses are from the same gene pool as the Rocky Mountain Horses. The most significant difference is the Rocky Mountain Horses have to trace back to the founding sire of that breed” Old Tobe”. The Kentucky Mountain Saddle Horse is a performance based breed, so they must be certified by registry examiners as to type, size, color and most importantly be able to perform the intermediate gait that is the signature of all the Mountain Horses. Smoke gets along well with other horses and people. He is not a bully and is very respectful of his riders. He clips, bathes, has good black feet and is easy to shoe. His ride is Cadillac smooth and he goes into gait on request. Don’t let his age fool you. Another attribute of the Mountain Horses is longevity. My father gave me my first Rocky Mountain Horse when I was 8 years old. I was 44 years old when he died and we rode and drove him up to the end as he was still fit and looked like a 20 year old. Smoke will be a perfect companion for a child or for an older adult. With his smooth ride and gentle attitude he is as close to a bomb proof horse as you can find and still be responsive. Bad back, bad knees, bad hips and you still want to ride? This is the horse you need to own.